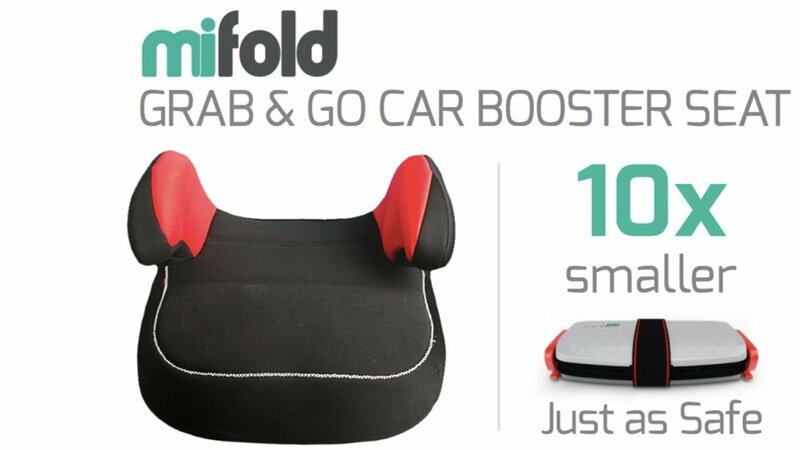 We have been using MiFolds for well over a year now and have become big fans of these little booster seats! While MiFolds will never be our children’s main booster (for reasons I’ll share in a bit), they have become essential in certain situations. Over the last year we have had used our MiFolds in many situations and have never been disappointed; but there are things to note about this ‘grab and go’' booster that will help determine if the MiFold is a good fit for your needs. Extremely Compact - Based on the look/design of the MiFold, it’s obvious that they’re small; but even still, I was surprised at just how compact they truly are. 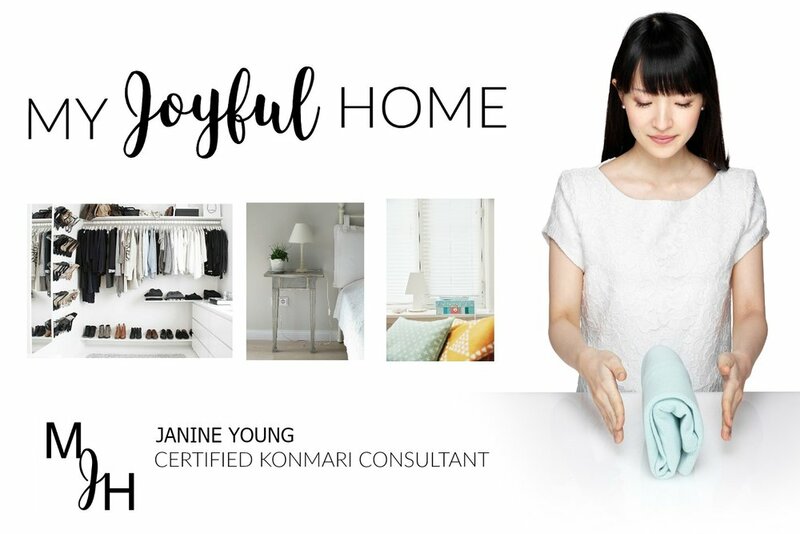 Each unit fits easily in a glovebox, backpack, front luggage pouch and even purse. Safe - “MiFold meets and exceeds global safety standards”. Truthfully, I was initially skeptical of the MiFold when I first discovered the booster style. I was uncertain that something so compact could keep my children as safe as their standard sized boosters. However, when you learn about the innovation and design it makes perfect sense. Rather than raise the child up, via a traditional booster, to meet the appropriate heigh of the should strap; the MiFold brings the shoulder strap down to the correct height of the child. Fasteners also ensure proper placement of the lap belt. Convenient - As I mentioned, the MiFold has become essential for us during certain situations. The main one is definitely travel. 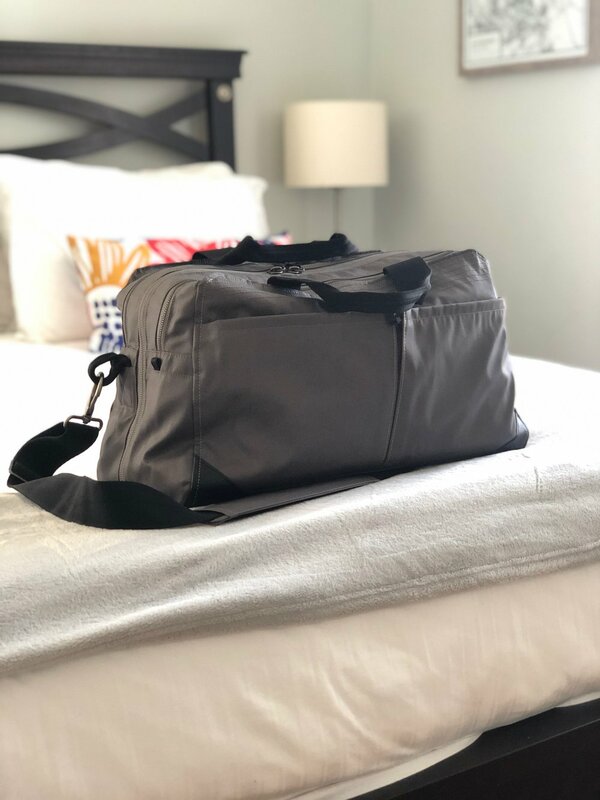 We are able to easily fit two MiFolds in the front pouch of our carry-on luggage and no longer either have to bring larger boosters (with the hassle of flying them as checked luggage) or rent boosters upon arrival. We also know we can fit in any rental vehicle or taxi with ease. Three Across - This has been huge for us! We do a lot of road trips with a friend and her three children. Without the MiFolds, all eight of us would not be able to travel together in one van. Traditional sized boosters are on average 10x wider than a MiFold. We can fit three older children across the backseat of the van with still plenty of room between kids. The same is true for three children seated in MiFolds across the back of a small car. Affordable - In my opinion, at approximately $60 CAD the MiFold is priced fair. While more expensive than some traditional booster options, given the convenience (especially for travel) it is well worth the investment. Pick-Ups - MiFolds have made things so easy when our children are being picked up by grandparents or other family. Sometimes it’s not easy or even logistical to send a child to school or an extracurricular activity with their booster seat; yet if someone else is picking them up, they need one. The MiFold is so small the kids can easily store it in their backpack. It Takes Practice - The first time I tried to set-up the MiFold for each of our boys, I quickly realized there was a learning curve involved. After watching the official MiFold instructional videos, I was able to confidently use them; but it does take some time and practice. Others May Not Be Familiar With the MiFold - We made sure that anyone who would be using the MiFold with our children received a proper tutorial and were comfortable using it before we left them to set it up without our help. This doesn’t allow for spontaneous pick-ups with friends etc. if the MiFold is the only option for a booster. Kids Require Assistance - At eight and six, both of our boys are able to properly buckle themselves using a traditional booster. However, with the MiFold my six year needs my assistance buckling for every use. My eight year old is a bit better, but when he is seated close to others he really struggles with the lap belt fasteners. This isn’t an overly big deal; we just ensure we buckle the kids first before we get seated. Kids Prefer Standard Size - My kids by no means dislike their MiFolds, but if given a choice, they would choose the ease of use and comfort of their bigger boosters. 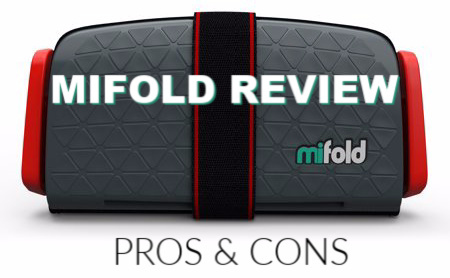 For us the pros of the MiFold far outweigh the few inconveniences. We don’t use them as regular booster seats for our children, but they definitely could be. For families that rely mainly on taxi and Uber services and/or who travel frequently; it would be the perfect full-time booster. 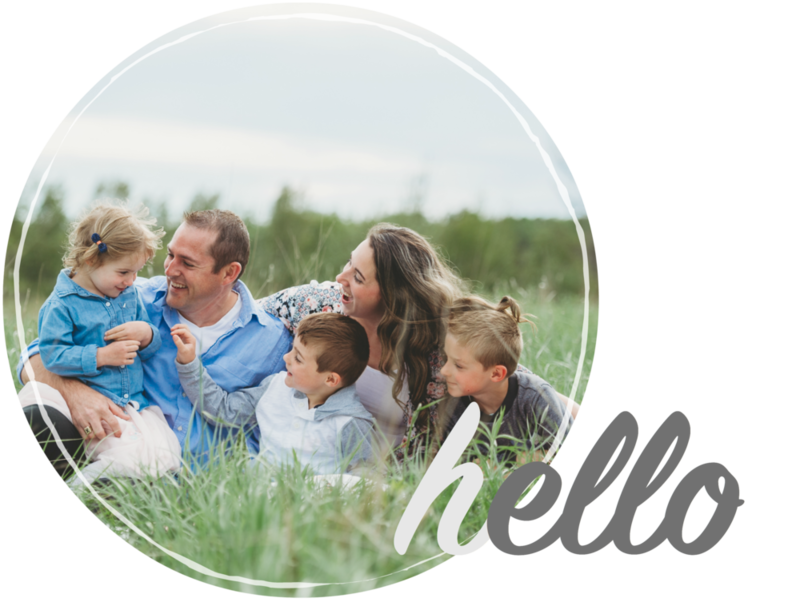 The convenience of being able to travel lighter, not be limited by vehicle rental options, travel as a large group and have grandparents conveniently pick-up our kids have made the world of difference and would not be possible without the MiFold. Feel free to leave any questions you may have as a comment and I would be happy to answer!